Alden Denny is a music educator and musician based in the Yuba-Sutter area. University-trained but tested in the real world, he transmits energy for the art, tempering it practicality and insight. 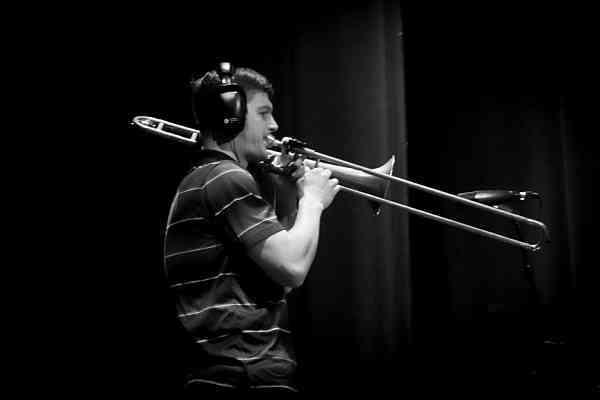 Though primarily a trombonist, he teaches and performs professionally on a wide variety of instruments. Mr. Denny holds two Bachelor’s degrees from California State University, Chico (Music Education & Trombone Performance), Level One certification in the Kodály Method at Holy Names University in Oakland, and completed a Single Subject Teaching Credential in Music. He plans to obtain Suzuki Training for Brass during July 2018.